Usage notes: Clocher is an old-fashioned French verb meaning "to limp," which eventually evolved to its modern meaning: "to be defective, to have something wrong." 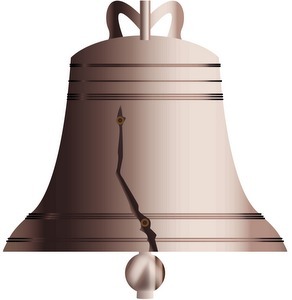 Clocher has an additional old-fashioned meaning: "to ring, toll" as in a church bell. 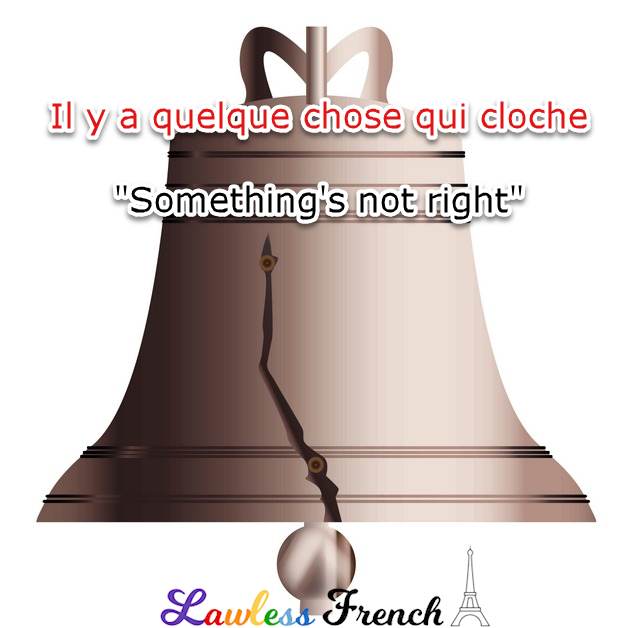 Native French speakers are always quick to point out that this is coincidental and has nothing to do with il y a quelque chose qui cloche, but it doesn’t really matter: thinking of the "off" clang of a giant, cracked bell is a great way to remember the meaning of this idiomatic expression. Je n’arrive pas à trouver le problème, mais il y a quelque chose qui cloche. I can’t find the problem, but there is something wrong. Qu’est-ce qui cloche avec toi ? What’s wrong with you? quel est le problème ? – what’s the problem? qu’est-ce que tu as / il a ? – what’s wrong with you / him? qu’est-ce qu’il y a ? – what’s wrong? qu’est-ce qui ne va pas ? – what’s wrong? qu’est-ce qui se passe ? – what’s wrong?